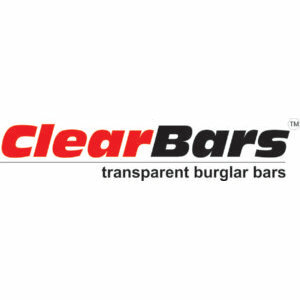 Lexan® – ClearBars® by MultiSafe Security are transparent burglar bars, made from imported Lexan® polycarbonate, ISO 9001 approved for Military VIP protection, aircraft windows, Formula 1 cars, and other applications where safety and security are paramount. The material has a tensile breaking strength of 3000 kg’s and is virtually indestructible, making it extremely safe in areas where parts may be exposed to impact. Why Lexan®: Lexan® is the best and only real suitable high density polycarbonate to be used when it comes to making long lasting transparent burglar bars. Lexan® was invented in 1953 and is one of only two brands in the world that is certified to be used in the Aviation industry. Benefits of Lexan®- ClearBars®: Stylish, Discreet, Rust proof, Fade resistant and Won’t discolour. There is no maintenance, the material is guaranteed for 10 years against fading and aging. MultiSafe started in Cape Town with the design of security products in the end 2004 and had the first products manufactured and successfully installed in the beginning of 2005. The reason for offering a totally new look at security solutions originated after the founder of MultiSafe, Martin Nauta, having lived and travelled overseas for many years was unpleasantly surprised upon his return to South Africa in 2003 to see barred and walled homes that looked (and functioned) like prisons. Besides being very dangerous in the case of a fire or other possible disasters, the beautifully designed paradises were now so fortified, making them look ugly. There is no doubt that these security measures are needed, but there are other solutions and materials today on the markets that allow for a much friendlier way of securing your premises, without making it look like an ugly fortress. Internationally as well as in South Africa Martin Nauta has designed many specialized machines and come up with alternative solutions. As a mechanical engineer he has pioneered many options in different fields and always looked for improvements and different solutions to those currently used and available. “It is amazing how products and solutions get used over and over again, and possibly improved once they are accepted as the only solution. Looking at alternative solutions ‘out of the box’ and creating ‘new’ products is a whole different ball game and is very challenging”. Currently MultiSafe offers security products that look aesthetical pleasing, but do the job 24/7. “We call them ‘elegant solutions’. For windows we have completely clear (see through) burglar bars, which are mounted on the inside of the windows and avoid entrance through the open windows”. The ClearBars are also used to protect fixed glass panes and sky lights. Bakkie canopies, caravans and cars have also been equipped with ClearBars. The main advantage of using ClearBars instead of conventional methods is that the objects are protected and there is no lose of vision. Our latest developments are ClearGates, a heavy duty aluminium security gate with our ClearBars mounted as cottage pain. The gates are exceptionally light in weight and easy to handle for elderly people and children. They come with a slam lock or a standard lock. The gats let in light and are ideal as a internal gate in the passages or as an external security gate. We have designed and will continue to find ‘elegant security solutions’ and are currently successfully appointing distributors/partners in all areas of Southern Africa, to expand business opportunities for many people involved. We have developed a unique marketing plan. Please check our business opportunities. MultiSafe can supply products and comprehensive technical training to install and maintain the products as well as support in marketing & sales. People who share our vision in making South Africa safer, but by means of elegant solutions rather than prison-like grilles and bars are more than welcome to contact us. We will create job opportunities in existing and new companies, and there are ample opportunities for BEE companies to get involved. Together we can make South Africa safer in a more attractive and aesthetically pleasing way. Our government aims to contribute towards our general security, but it is up to every individual to help stop crime. MultiSafe offers elegant and affordable solutions to help stop crime.